Finding Your Way in the Spiritual Age is a common-sense approach to the increasing interest in Spirituality. Our daily lives are intertwined with the "other side", but there is really no reason to be afraid. We are on our own individual paths with signs all around us from passed loved ones, our Spiritual Guides, Guardian Angels, and more, and they operate only from the level of love. 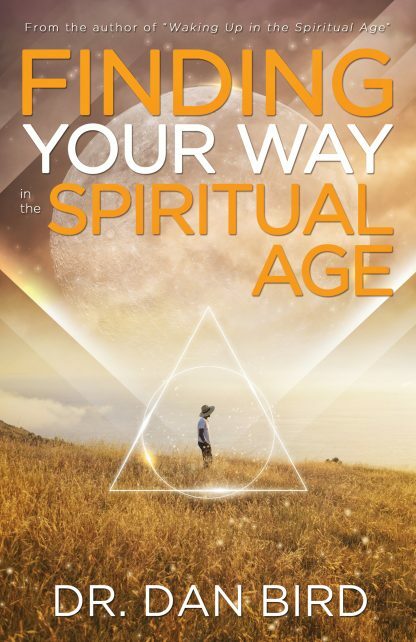 Reading this book is like having a talk with the author, he says what he believes and offers suggestions for anyone on how to relax and learn from your Spiritual experiences. The information in this book is down to earth, simply explained and meant to be enjoyed in an informal, yet very interesting way. The world is truly changing on many levels, and this read may help you along your path. Dr. Dan Bird has been interested in spiritual topics since he was a teenager. He earned a doctorate in education from the University of Nebraska with a focus on the use of technology in the schools, and after many years as a musician, he became a teacher and technology trainer for Nebraska�s largest school district. All the while, the search for the real meaning of life, why we are here, and where are we going continued, leading to the writing of Waking Up in the Spiritual Age, his first book. Married with four grown children, he keeps busy traveling, writing, and adding to his spiritual webpage, . He lives with his wife, Kathie, in Omaha, Nebraska.